According to at least one user on reddit, Spotify is currently testing an Auto Mode internally. This mode makes the app safer to use while driving, but it doesn’t appear to be quite ready for widespread rollout yet. With this mode enabled, the buttons for playback are made very large (for easy pressing), while the existence of other buttons seem to vanish. It’s basically a trimmed down version of the UI, perfect for those who find themselves distracted when it matters most. Additionally, a voice-powered feature will let you speak commands to the app, but the feature isn’t yet working. This test does not seem to be made for the public, as a Google Doc leading to feedback asks for a @spotify email address, meaning it’s purely for internal use. 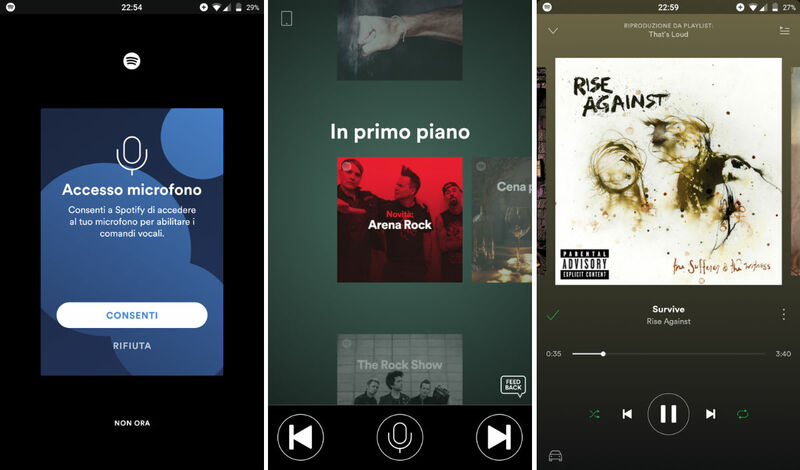 These apps do find themselves leaking online from time to time, though, so instead of going to look for it, just know that Auto Mode may be something the music service is working on to make public sometime in the future. Personally, Google Play Music > Spotify.